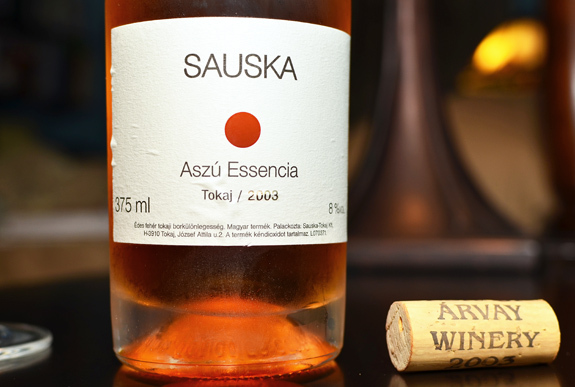 Home Tags Posts tagged with "aszú"
During numerous trips to the Tokaj-Hegyalja region in Hungary, I’ve had the opportunity to taste hundreds of Tokaji dessert wines, and I’ve managed to build a small personal collection. With no great claim to being a sommelier, I will share with you my impressions about the wines, and stories about the people who make them. Oh, and TWR? 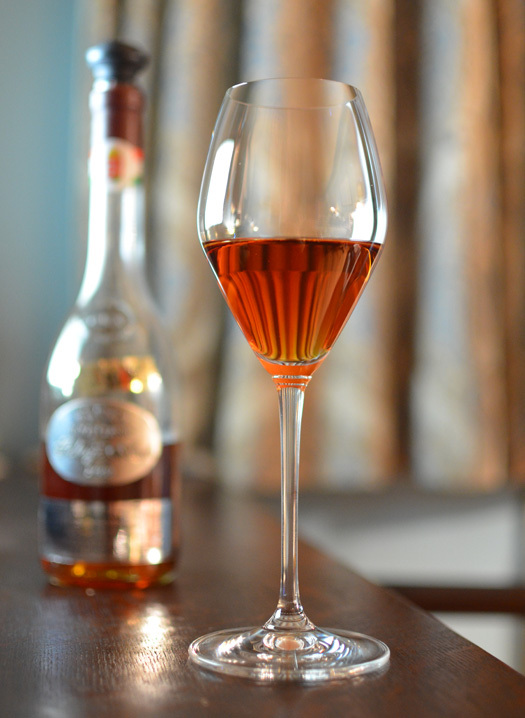 Tokaji Wine Review! I know what you’re thinking. “Dude, maybe you shouldn’t drink so much Tokaji. It’s not good for your memory. You’ve already reviewed this wine here three years ago!” Not quite. My previous post was about the Furmint version of the same aszú wine, but this is the Hárslevelű bottling. Different varietals! Typical Tokaji wines blend a majority proportion of Furmint with some Hárslevelű and a little bit of Sárgamuskotály. Hárslevelű wines like this one are much rarer (in this case, only 1,264 bottles were made), and tend to be fuller-bodied, which I like. I’ve unfortunately run out of pictures of the winery. I had surprisingly few, and they all went into my previous post. As a consolation, you can check out the gallery on their web site. After 16 years, the flavors are still very fresh. A great wine. Lately I’ve been pondering what unique angle I could possibly provide in these wine reviews. Since I’m no sommelier but I do cook plenty of food, and I happen to be working on Chef Watson, I’ve decided that I’m going to translate the wine’s flavor profile into what I affectionately call a tuple — a combination of four ingredients that go well together and can be used as the stub to create various recipes. Click on the image to explore recipe ideas that taste and smell like Árvay’s Tokaji. I’m a bit concerned this might become repetitive (Tokaji wines tend to gravitate around the same flavors more often than not), but hey, we’ll see! And it’s a good thing you can imagine the taste of this wine through food instead of actually tasting the beverage itself, because forget about finding it in a store. In fact, it looks like Árvay doesn’t even make Aszú wines anymore! It sounds odd, but I can’t find any trace of an Aszú made by him, under any label, after 2000. Too bad. Maybe it’s a consequence of the winemaker’s split with his previous business partner, Sauska? The latter still makes Aszú wines, like the one I reviewed here. Finally, a word of caution for all Tokaji drinkers. I’ve noticed that Tokaji wines tend to oxidize very quickly once opened, which considerably alters their flavor profile, and not for the better in my opinion. Two solutions: splurge on a Coravin, or drink fast. During numerous trips to the Tokaj-Hegyalja region in Hungary, I’ve had the opportunity to taste hundreds of Tokaji dessert wines, and I’ve managed to build a small personal collection. With no great claim to being a sommelier, I will share with you my impressions about the wines, and stories about the people who make them. It’s been too long since my last Tokaji post, but I’ve got a great wine for you. This is not a wine I tasted in Hungary, unlike the others in most of my past reviews, but one that I acquired elsewhere. I tried contacting the winery to ask for photos, but unfortunately they never responded, so you’re stuck with me taking pictures of my Tokaji bottle around my apartment (next time it will be with my favorite Etsy planks, I promise). 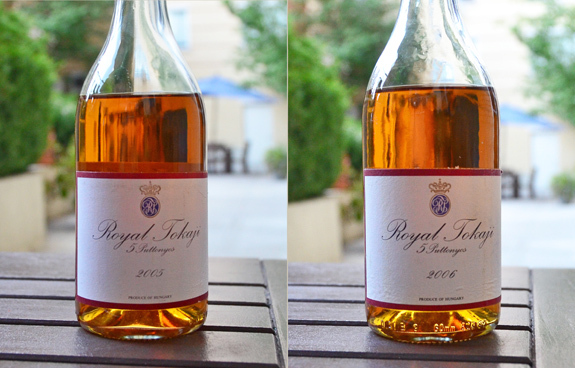 I first wrote about the Royal Tokaji wine company about a year ago, when I reviewed the very precious 1999 Essencia. For more information, the first half of the video below, presented by owner Hugh Johnson, gives a good overview of Tokaj, the region, and Tokaji, the wine. My favorite moment: the capitalist saviors rescuing wild, communist Hungary from its oenologic mediocrity in their big 4WD. The second half of the video is essentially a commercial for Royal Tokaji. The two Royal Tokaji aszú 5 puttonyos wines that I’m reviewing today have had the rare honor of being featured in the Wine Spectator Top 100 for two consecutive years. The hill behind the Yellow Wine House, where there are still stake supported vines on the secular terraces, is the heart of the Disznókő vineyard. Reaching the top of the hill we can see a small white pavilion, the belvedere. The Lónyai family had it built in the 18thcentury and meant it to be a lookout tower. There is the famous stone called Disznókő beside it. A giant rock that looks as if it had come from the sky. According to the local people’s stories the shape of the rock reminded of a wild boar some time in the past. The slope and the estate were named after this rock. János Árvay is a heavyweight in the Tokaj region. 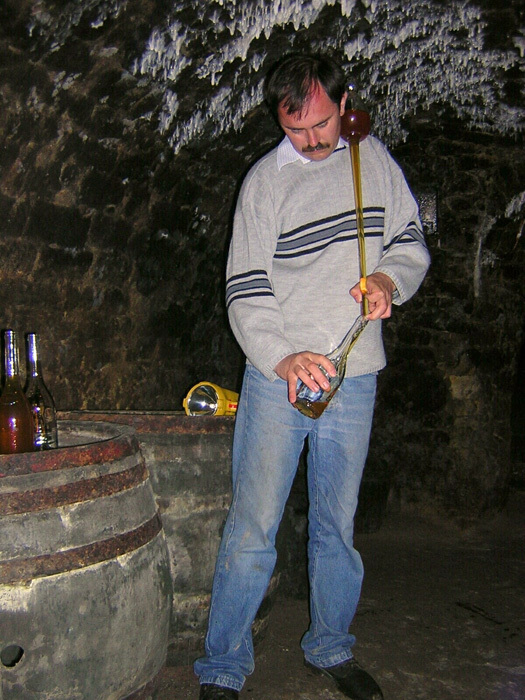 After working for the state wine company during communism, then for Disznókő after privatization, he started his own winery and was named Tokaj’s Winemaker of the Year in 2000 and Hungary’s Winemaker of the Year in 2003. Of course, with two exceptional vintages in 1999 and 2000, this wasn’t a bad time to make a name for oneself. 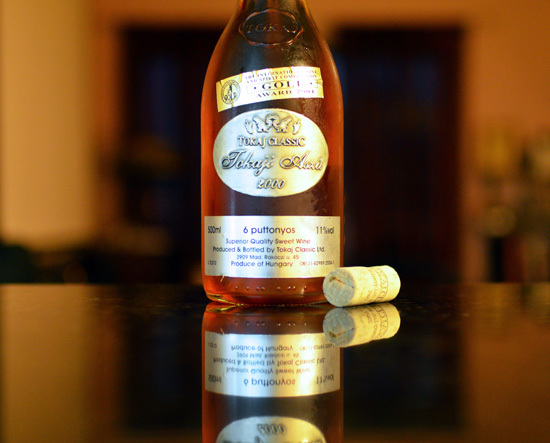 Meanwhile, the Tokaj Classic Aszú 6 Puttonyos 2000, available on the US market, received a score of 96 in the Wine Spectator and a gold medal at the International Wine and Spirit Competition in 2004. Its medium amber color is darker than many other aszús of the same vintage. The nose reveals apricot and tropical fruit (guava maybe? ), and the palate confirms this impression, with extra notes of caramel and tangerine. This is definitely a very good wine, but not as rich as some of its peers — if I was paid to split a hair one hundred ways, I would probably give it slightly less than 96. 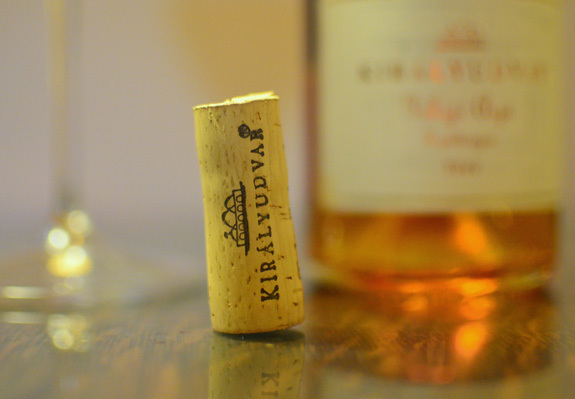 Királyudvar, which means the king’s court in Hungarian, is probably the most renowned of all Tokaji producers. 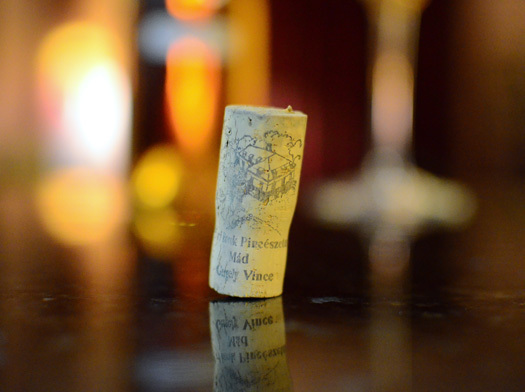 The reason is simple: it makes some of the very best wines and exports to North America, Europe, and Asia. 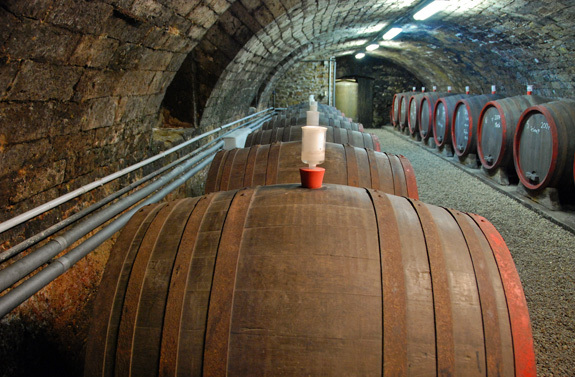 Located in a 16th century wine-press house in the village of Tarcal, the winery was founded in 1997 and owns parcels in the Lapis, Henye, Percze, Becsek, Danczka, and Nyulászó vineyards. 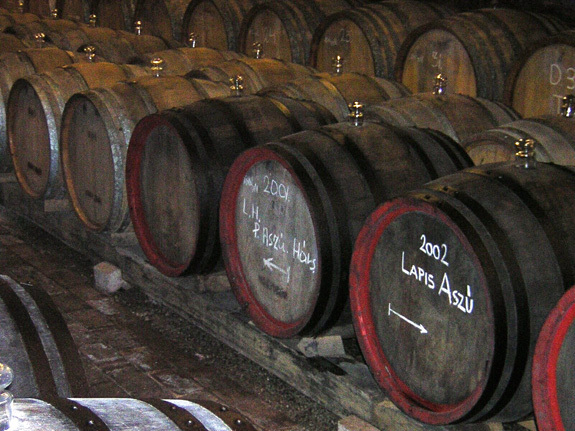 Until 2008, the wines were produced by István Szepsy. I read on their web site that the winery is now open to the public for tastings, and this is great news. Back in 2004 when we visited, things were a bit more complicated. Only professional visits were accepted. We were tipped off that a group had an appointment the next morning, and that Szepsy, being a sympathetic man, would probably not turn down a couple of enthusiastic tourists looking to tag along. This also meant that we had the grand tasting, a 2-3 hour affair from the dry Furmints to the super-sweet Aszú Eszencia — just count the bottles in the picture below! To this day, this remains one of the greatest tastings I’ve ever had. Made up of 70% Furmint and 30% Hárslevelű, the Aszú 6 Puttonyos 2000, we are told, “has a classic Tokaji nose”, and I couldn’t agree more. 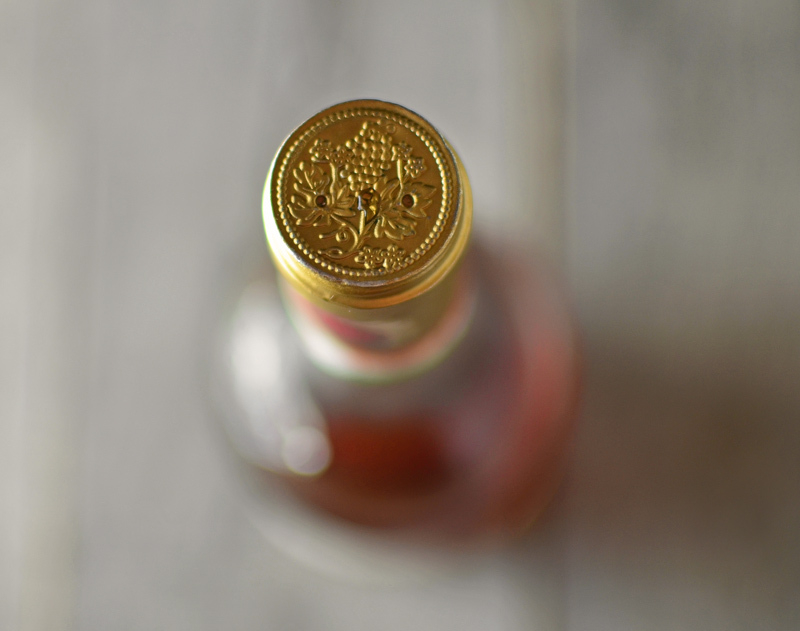 The golden amber wine smells of caramel and mixed tropical fruits, mostly pineapple and mango. The day after opening, the nose develops into more caramel, with apricot preserves replacing some of the tropical fruits. A perfect example of the outstanding 2000 vintage. 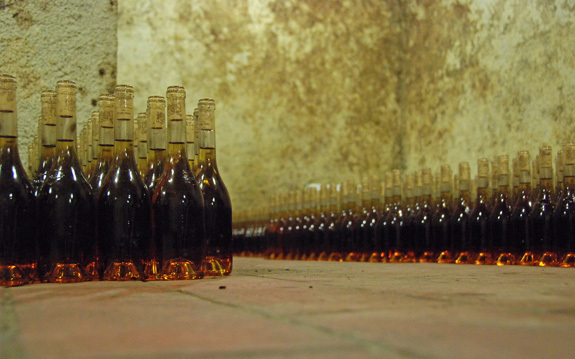 Úri Borok is located next to the more famous though much less interesting Royal Tokaji Wine Company in the town of Mád. 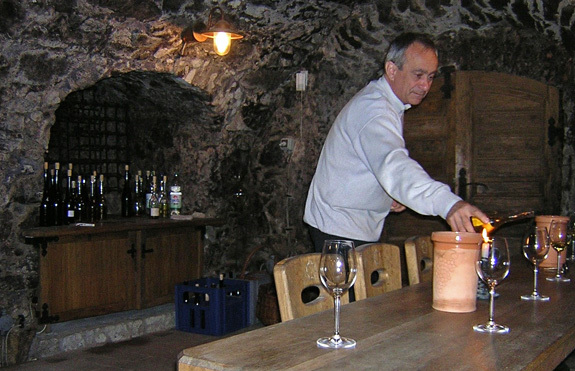 The owner, Vince Gergely, is one of the top winemakers of the region, producing wines that often go beyond the canons of the Tokaji genre. Today’s wine, a Muskotály Aszú 6 Puttonyos from 2000, is a perfect example of this. Úri Borok is a very small operation. The vineyard is only 25 acres, mostly situated on the Szent Tamás parcel. I visited the winery several times between 2004 and 2007, and I never saw any bottling line — in fact, it’s not uncommon for Vince to fill and cork bottles to order. Sometimes he has a label ready to glue on the bottle, sometimes not! 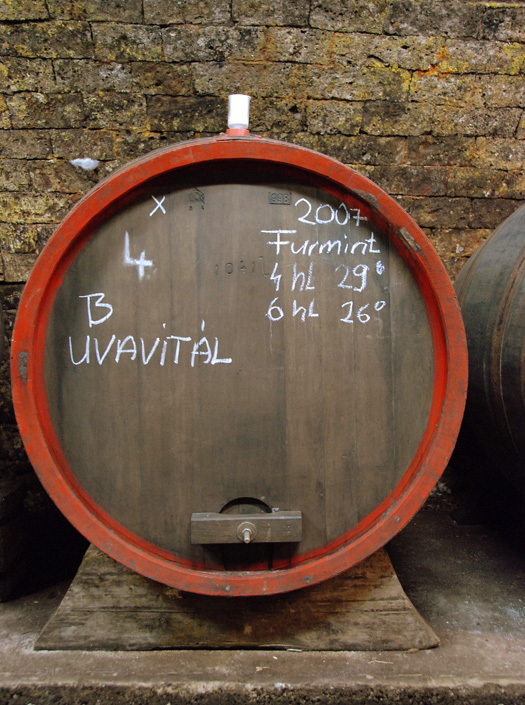 Although there are 6 varietals officially used to make Tokaji wine, furmint accounts for about 60% of the planted vines, and hárslevelű for another 30%. By contrast, this Muskotály Aszú is a blend of sárgamuskotály (yellow muscat) and furmint. Sárgamuskotály, which represents around 5% of the planted vines, is harder to grow but more susceptible to Botrytis (noble rot) than other local varietals. 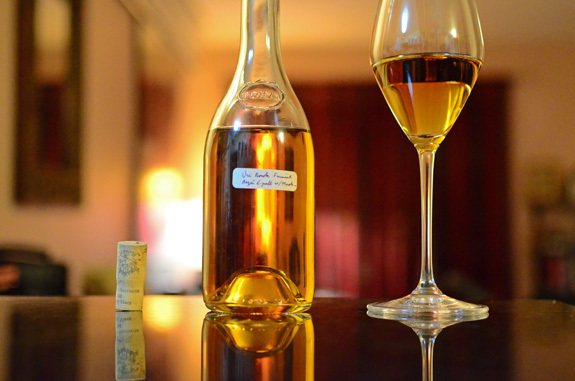 The wine boasts a nice amber color (look at the picture at the top of the post, not the one above), which is quite important because darker Tokaji wines typically show signs of oxidation. The nose still smells very fresh, with roasted pineapple, caramel, and apple sauce. It doesn’t exhibit the floral notes usually associated with muscat. The taste is intensely sweet, probably well above the minimum residual sugar requirement of 150 g/l for a 6 puttonyos. This is a great example of what Úri Borok can produce! Expect to see more of their wines in future posts.